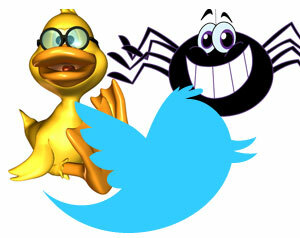 Twitter has unveiled their URL fetcher, which they named SpiderDuck. SpiderDuck is a service at Twitter that fetches all URLs shared in Tweets in real-time, parses the downloaded content to extract metadata of interest and makes that metadata available for other Twitter services to consume within seconds. A WebmasterWorld thread has some webmasters sharing the useragents and such found in their log files. Anyway, for more details see the Twitter post. Image credit: Yayayoyo & YorkBerlin / ShutterStock.